Here is a description of an ancient Egyptian tomb that was discovered in late 2018. The reason why this is mentioned here is that I remember a similar place under a Buddhist temple in Bagan Myanmar whose similarity is really striking. 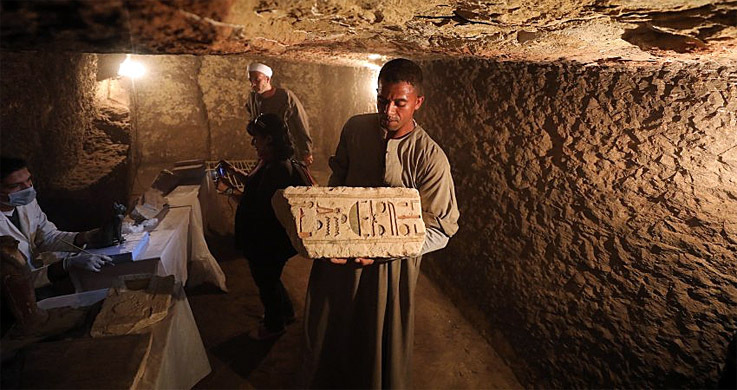 Egyptian archaeologists have discovered the thousands-year-old tomb of a priest in the Saqqara pyramid complex near Cairo. 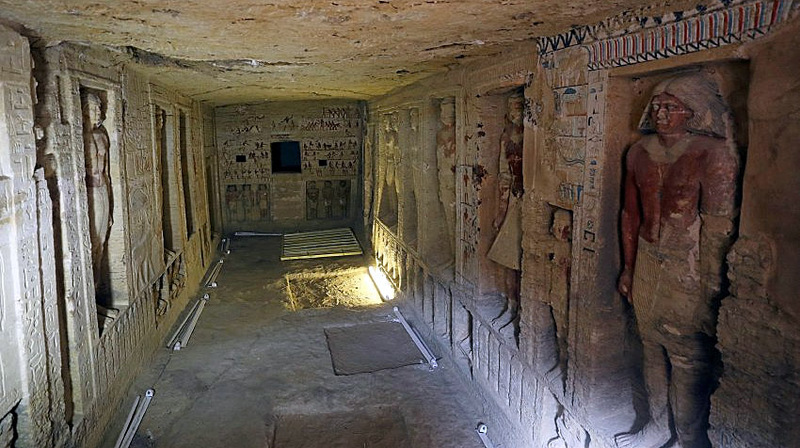 The tomb is said to be "exceptionally well preserved, colorful, with sculptures inside," said Chaled al-Enani, minister of ancient affairs in Saqqara. The tomb belonged to a high priest named "Wahtye" and was more than 4,400 years old, he added. The burial ground was decorated with scenes depicting the royal priest with his mother, wife and other family members, the Department of Antiquities explained. 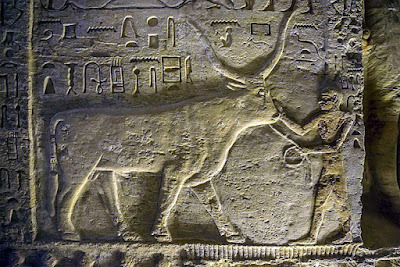 Thus, "Wahtye" was High Priest under King Neferirkare during the fifth dynasty (2500-2300 BC). Overall the burial chamber contains 18 niches with 24 statues. 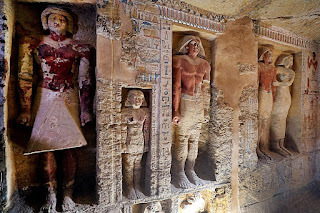 In total the burial chamber contains 18 niches with 24 statues - all of which are preserved in remarkably good condition. The tomb site of Saqqara has been the scene of spectacular finds in the past. In August 2018 for example scientists are discovering there a 3,200-year-old spread cheese. At the edge of the necropolis of Saqqara the researchers discovered seven coffins, four of which came from the Old Kingdom, the oldest of the classical periods of Ancient Egypt. They are thus more than 6000 years old. The excavations had begun in April.